In its final report today on Christchurch and Auckland Airports' pricing decisions for the five-year period to June 2022, the commission said Auckland's returns are above its benchmark. The assessment of return on the weighted average cost of capital (WACC) is on regulated parts of the business, comprising core aeronautical services: airfield facilities, terminal facilities for processing passengers, and aircraft and freight facilities. It excludes retail and car parking charges. The commission assessed forecast income of $1.56 billion over the five-year period to mid-2022. The midpoint WACC estimate was 6.41 per cent and this would result in an extra $53m ($37m after tax) in profit on the regulated assets. What does that mean to passengers? Over the five-year period, the commission says this adds up to an extra 50c per passenger on each flight. The airport says that for domestic travellers that means an increase to $6.57 per passenger and for international passengers it goes up to $23.50. Across the 20 million-plus passengers, the increase is 66c per passenger journey — from $15.44 to $16.10. And the airport says that after inflation is taken into account, international prices are decreasing by 1.7 per cent a year on average over the five-year period, and domestic prices are increasing by only 0.8 per cent on average. That any increase in charges must be justified (these fell short of that) and piling on any higher charges (which they pass on to passengers) makes running their businesses tougher in an increasingly difficult environment. They want the airport to play by the spirit of the regulatory regime which only requires disclosure. Do the airlines have a fundamental beef here? Airlines compete fiercely with each other (unless they have a route to themselves, and then they display a touch of the airport's approach to pricing) and airfares have dropped markedly over the past 20 years. However, they have little choice about where they land and park their planes, especially when there's such a dominant international gateway, domestic and regional hub such as Auckland. Their money back — the $53 million of charges identified by the commission. 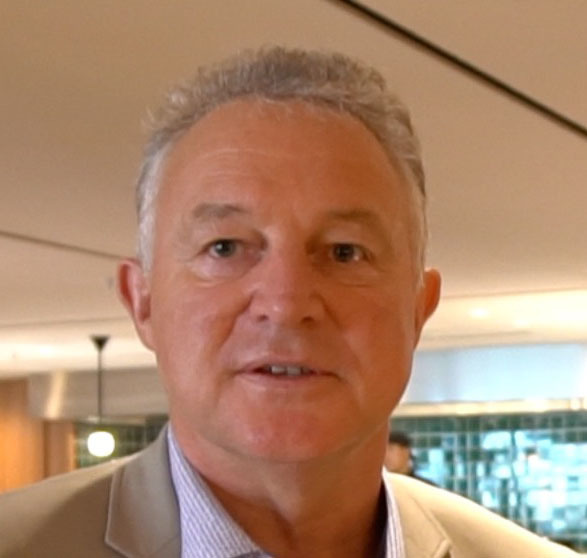 Airlines serving New Zealand are represented by the Board of Airline Representatives (BARNZ) and its executive director, Justin Tighe-Umbers, says it is time for the airport to listen to the commission and adjust its pricing. "Auckland Airport continues to favour shareholders and hand them healthy dividends rather than looking for a balance that respects the passengers who must use its services because there is no alternative." How healthy have those dividends been? The airport is solidly profitable through travel peaks and troughs and over the past few years has ridden the aviation boom. It revealed on Wednesday that its five-year average total shareholder return — based on dividends and share price appreciation — was 20.7 per cent. Its generous dividend policy rarks up the airlines. Chief executive Adrian Littlewood points out that it returns 100 per cent of underlying profit to shareholders (non-cash depreciation gets reinvested) which is different to another favourite target of airline lobby groups, Sydney Airport, which pays out 100 per cent of top-line profit. The departure area at Auckland International Airport has been rebuilt. Photo / Jason Oxenham. What else are airlines dealing with? Fuel prices have doubled in the past 18 months, the costs of aviation security and air navigation services are increasing and biosecurity costs are likely to follow. Barnz warns that this could mean fewer airlines fly here and those that do may cut capacity. What does the airport say about this? This proves that it's not the only one pushing up prices and its "charges are very good value for money". Domestic charges are similar to those of the Aviation Security Service proposing domestic charges of $6.28 per passenger and average charges are about the same level as the border clearance levy charged by MPI and Customs of $15.79 per international passenger. "We also note the Government is adding a tourist levy of $35 per international passenger (excluding Kiwis, Australians and those from many Pacific countries) to support New Zealand's tourism sector." Who's paying for the big build at Auckland Airport? Up to $2b is being spent in five years on terminal and other infrastructure and it's being funded by airport users through the charges under scrutiny as well as from non-airfield revenue — parking, retail leases and property development. The airport will go further into debt to fund more development. What do airlines think of big capital works? They want them to be timely and don't like paying for things now that they won't be using years from now (a bit like the way airline passengers pay for tickets up to a year in advance). Auckland Airport is playing catch-up with infrastructure and has now put the foot down, building terminals and the second runway which could be finished before the end of next decade. What now for the airlines? Barnz concedes Auckland Airport is free to ignore the commission, because it can charge as it wants under law. If it does, they would see "this as a clear cut case for the commission to use its new powers under the Commerce Amendment Act and conduct an inquiry into monopoly behaviour at Auckland Airport." What now for the airport? It's "reviewing" the findings. Although the regulatory regime is one of information disclosure rather than price setting, the airport says: "In practice the Commerce Commission's views do place considerable pressure on our price setting and form a kind of 'shadow price control' for our regulated business."